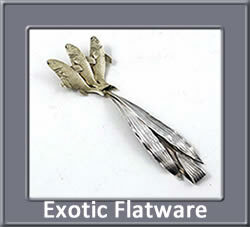 Browse our Exotic Flatware button for fine exotic and museum quality antique sterling flatware serving pieces including Gorham Narragansett, Saxon Stag, Tiffany Lap Over Edge Applied, Shiebler and various three dimensional examples. 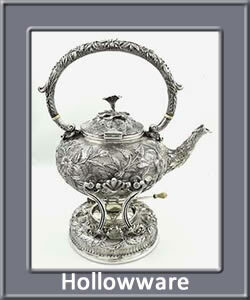 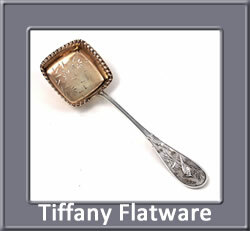 Browse Tiffany Flatware for patterns such as Olympian, Tiffany Lap Over Edge, Tiffany Persian, Tiffany Wave Edge, Tiffany Japanese, Ailanthus, Vine, Blackberry, English King and other Tiffany antique sterling flatware patterns. 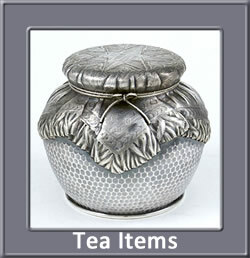 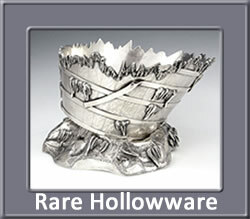 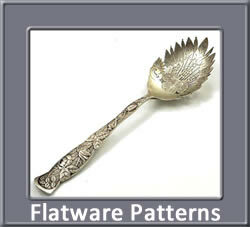 Browse Gorham Flatware for patterns such as Bird's Nest, Egyptian, Hizen, Isis, Japanese, Cluny, Paris and others. 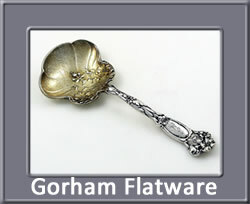 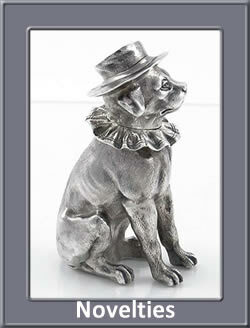 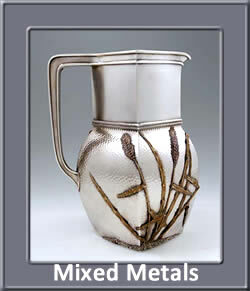 Our Mixed Metals Button encompasses Tiffany, Gorham, Whiting and Shiebler mixed metal hollowware and flatware.